Narrow mullion mounted egress door control. Highpower Pushplate 110 series of heavy-duty exit releases are designed for rugged applications for use with narrow aluminum door frames. 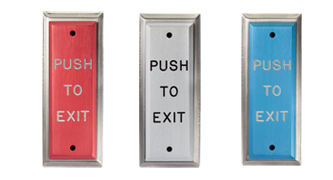 This exit release pushplate series features a stainless steel back plate and anodized aluminum front plate that actuates an SPDT microswitch with screw terminals. Durability and long life are built into this product since the travel of the front plate rather than the switch stop, limits the range of actuation. 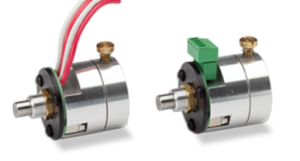 This ensures maximum switch life and reliable service in the most demanding environments. The Pushplate 110 exit release is made in U.S.A. and features a 2-year warranty. The unit is furnished with a stick on template that saves time during installation. 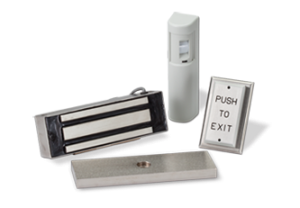 Many of our pushplate exit release products are available in additional finishes. If you are looking for a specific color, style or custom finish please call Highpower Security Products at 203-634-3900. A sales representative will be happy to assist you. 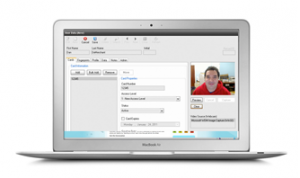 Included “stick-on” template saves installation time! Durable magnetic door locks with 1200lb holding force, with different mounting options. Required for safety codes, they keep the door unlocked for a set amount of time in case of emergency. 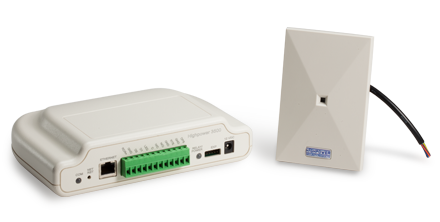 Highpower’s own access control software.